John descending Flattop Mountain with Longs Peak behind. 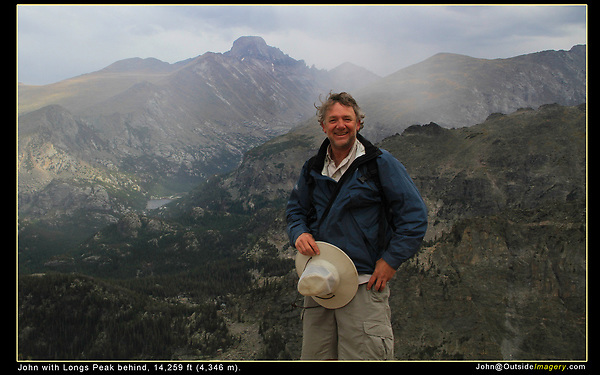 John was senior rock climbing and mountaineering instructor for the Colorado Mountain Club for 5 years. John provides insight into both wildlife photography and behavior. He has a B.S. in zoology from nearby Colorado State University and a M.S. from Washington State Boulder tours.